What about our newest form of microdermabrasion, the crystal free diamond tipped machine? The newest form of microdermabrasion is an incredible invention. It has allowed us to give our clients striking result with little to no downtime. This machine uses diamonds and suction to exfoliate the skin instead of using crystals. The diamond can remove up to 80% of the stratum corneum, the top layer skin. The diamond is four times harder than crystals. The machine uses a variety of diamond tips. Unlike the crystals, the diamond machines do not create heat and inflammation on the skin. Therefore it is great to be used on vascular and inflammatory conditions, such as acne and even more sensitive skin types. 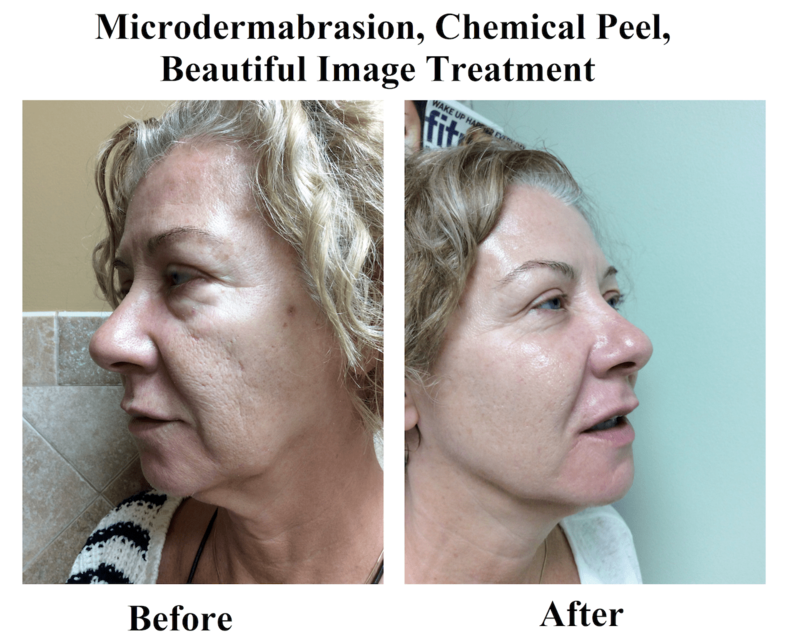 What Exactly is the Diamond Microdermabrasion? New skin cells are created in the basal layer, the deepest layer of the epidermis. Exfoliation stimulates new cell growth, this can be done naturally or with the help of mechanical or chemical exfoliation treatments. When mitosis occurs in the basal layer, the skin cells migrate towards the top layers of the epidermis, and they begin to die. When it reaches the stratum corneum, they are completely dead. This is where the microdermabrasion can mechanically exfoliate and resurface the skin, removing a portion of the stratum corneum. This process stimulates new cell growth, making the skin look remarkably smooth and luminous. Clients are strongly recommendedto commit to follow up treatments within 10 days of the initial treatment. Six treatments are recommended for achieving the best, lasting results.